Ireland is set to become the hub of European cinema innovation. 75% of cinema seats go unsold. The usheru app makes it simple for cinemas to sell empty seats. The app provides its users with personalised recommendations and cinema ticket offers. It also makes the booking process incredibly easy with just 3 clicks. Cinemas send out alerts via the app when ticket sales are low before a screening. usheru enables the cinema to market directly to the consumer to get bums on seats quickly, effectively and cheaply. usheru have already represented Ireland on a European scale after being nominated as one of the EU’s Top 12 startups. They have attained early support from Innovate UK, the British Film Institute and Wayra UK. Having launched and iterated in London, usheru will launch in Ireland in November 2015. 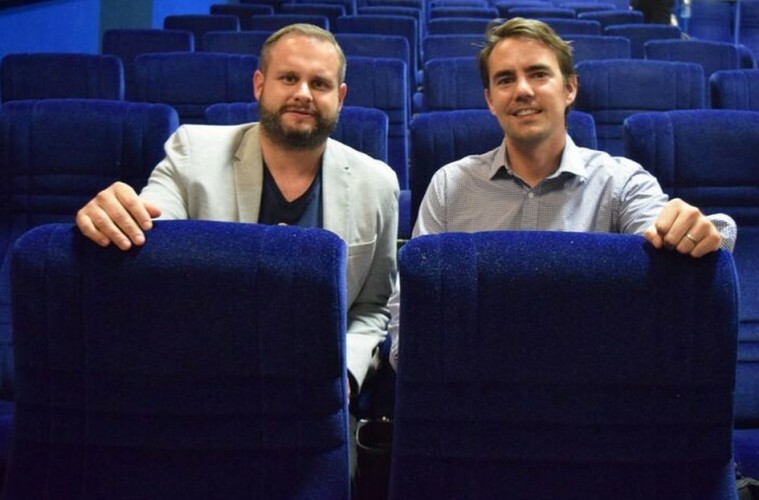 Fellow Irish Start Up Showtime Analytics are a data analytics company focused on the cinema industry. Showtime have developed a dedicated Cinema Data Analytics offering – an entire cloud based data analytics platform built from the ground up for the needs of the cinema industry. It provides analytics services, solutions and technologies to all members of the cinema value chain giving the industry a unique opportunity to gather and combine all relevant data sources together to gain valuable insight and competitive advantage. Collecting data is going to play a huge role in content scheduling in cinemas in the future. Exhibitors will become more creative in programming decisions using all available data sources to drive their business decisions. usheru and Showtime Analytics have joined forces on a number of initiatives in order to give more firepower to the transformation of this industry, ripe for change. Spurred on by the local Irish appetite for innovation, the supportive start-up culture and the goodwill and support they have received from cinemas and distributors, they are set to hone their proposition before taking them global. Irish start-ups demonstrate high resilience in the quest for success as more and more backers and creators are taking their businesses, sharpened on home soil, to the US and beyond. May the force be with you!